A high speed train line linking the two cities is scheduled to open next year, with a journey time between the two of 40 minutes. BEIJING– Beijing has launched a bid to host the 2022 Winter Olympic Games, the Chinese Olympic Committee (COC) announced here on Tuesday afternoon. Both the Chinese capital and northern city Zhangjiakou had applied to represent China in the bid before the COC picked Beijing, 2008 Summer Games host city, to run for the 2022 Games with Zhangjiakou being a co-host. In the COC’s plan, Beijing is expected to stage the ice events while Zhangjiakou holds snow sports. Beijing sports authorities believed their experience in hosting the 2008 Olympics will earn an edge in the 2022 bid. “The 2008 Olympics has left many legacies to Beijing, which includes experience and sufficient infrastructure,” said Beijing Sports Bureau chief Li Yingchuan. The Summer Games draws over 10,000 athletes while the Winter Olympics has about 4,000 athletes competing. Li said Beijing has enough stadiums to stage the ice events. “Take the Capital Stadium as an example, it has about 10,000 seats,” said Li. The ISU figure skating Grand Prix Cup of China just finished there. “What we need now is a speedskating venue,” he added. Zhangjiakou, a city in Hebei Province located 200km northwest to Beijing, is also enthusiastic for the bid. The distance between the two cities will not be a problem when the Games comes. It was announced on Monday that an inter-city express railway is to be built between Beijing and Zhangjiakou. Construction will start on the 174km line at the end of this year. It will take about 40 minutes to travel from Beijing to Zhangjiakou once the railway is in use. But Li admitted that Beijing has its only weak point, which is pollution. Pyeongchang succeeded after three tries and is “a model to follow”, according to Li. “I would say anything is possible. Even if Beijing loses this time, we will continue our efforts in the future,” he said. 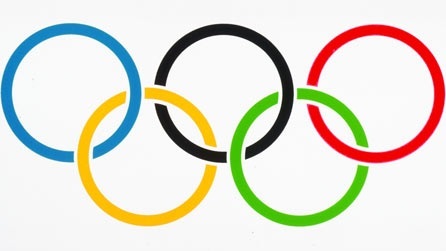 The International Olympic Committee will finalize the candidate list in July, 2014 and select the 2022 host in July, 2015.